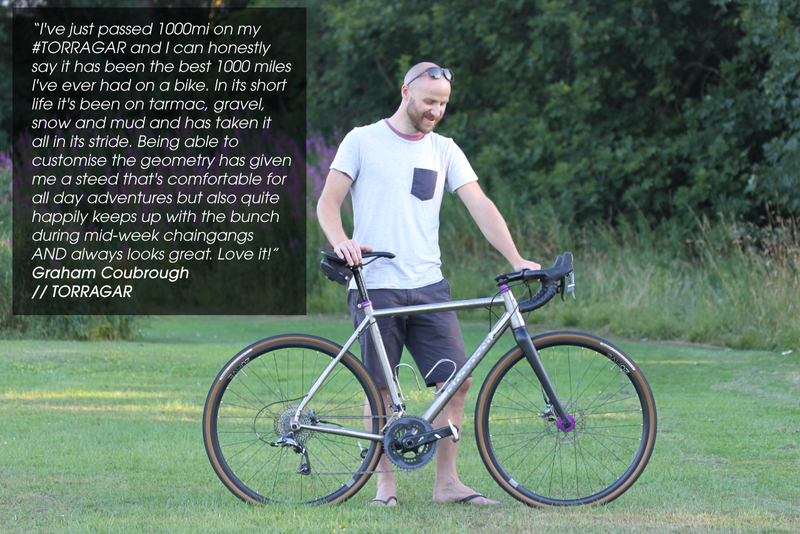 Since 2012 Albannach have been designing, building, testing, and developing our own unique line of titanium racing frames. Six years on, we are now excited and ready to offer you the opportunity to make your own Albannach. 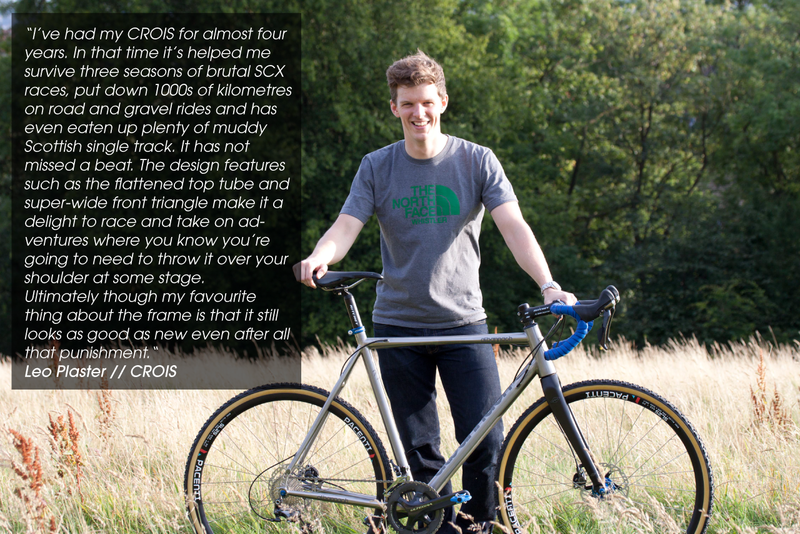 We specialise in cyclocross, road and randonneur frames, respectively known to us as the CROIS, the RATHAD and the TORRAGAR. 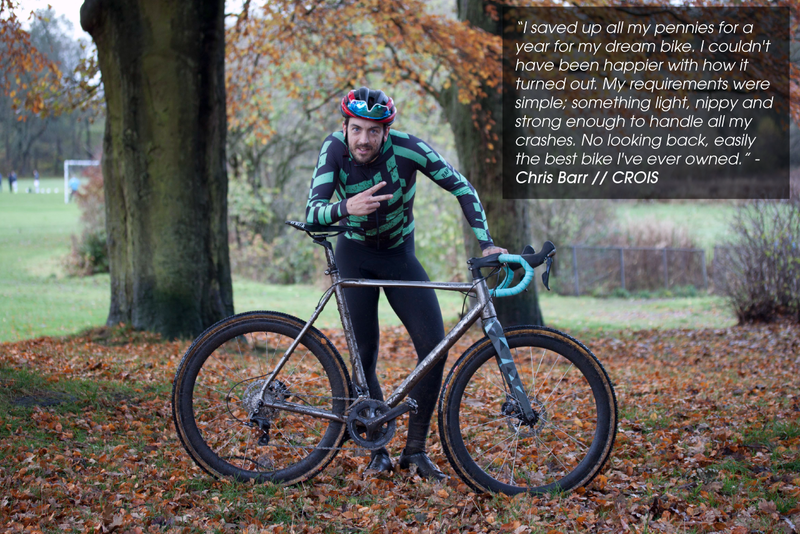 the CROIS /krɔʃ/ is our strong and sleekit cyclocross racing frame, designed around our fast and technical Scottish races ready to attack your provincial parcours. 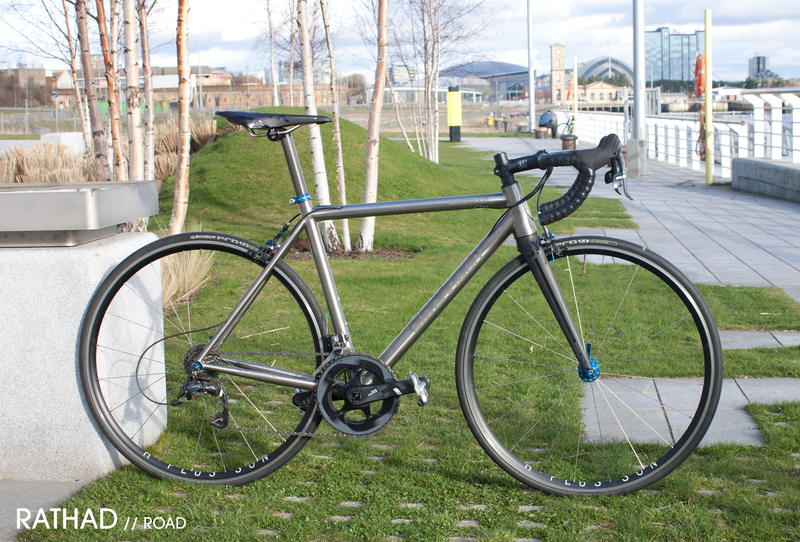 the RATHAD/Ra.ad/ is our elegant and modern road racing frame; lightweight, aggressive and responsive. 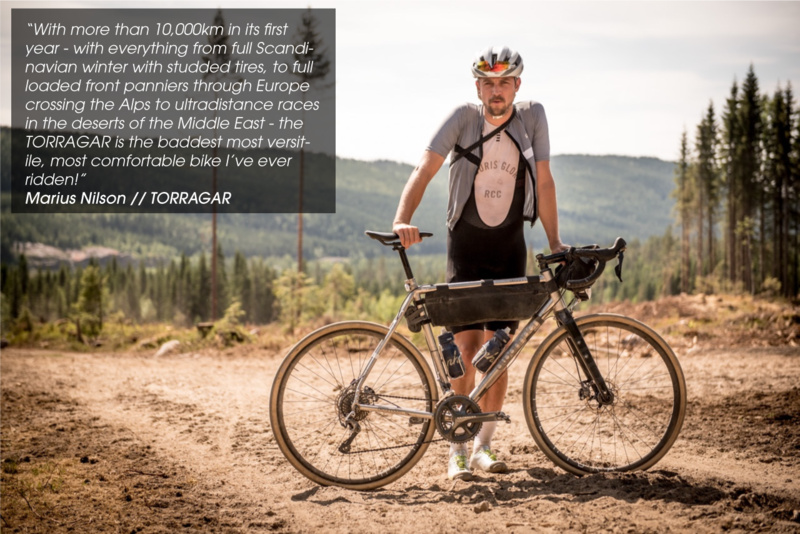 the TORRAGAR /tɔRagər/ is our staunch and versatile radge randonneur frame, developed specifically for ultra-endurance racing and rough ‘road’ touring. 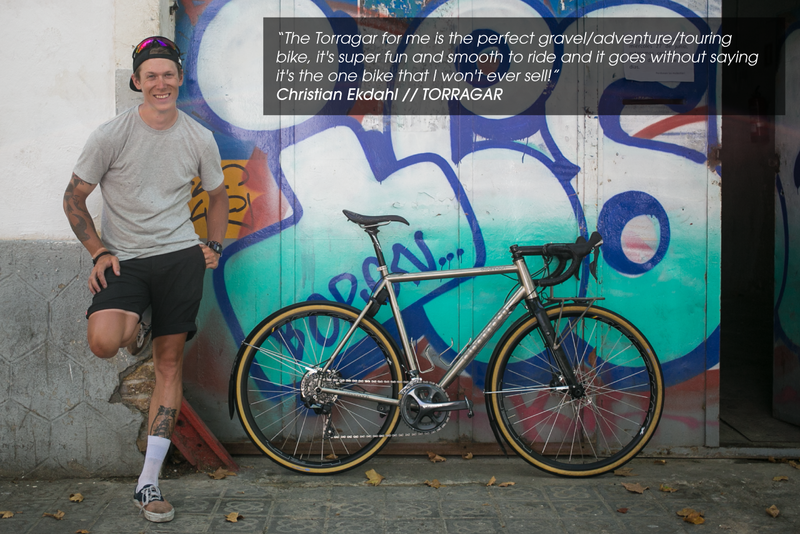 All of our frames are constructed with spaceman Grade 9 (3Al-2.5V) double-butted titanium tubing making it really light and hard as nails. 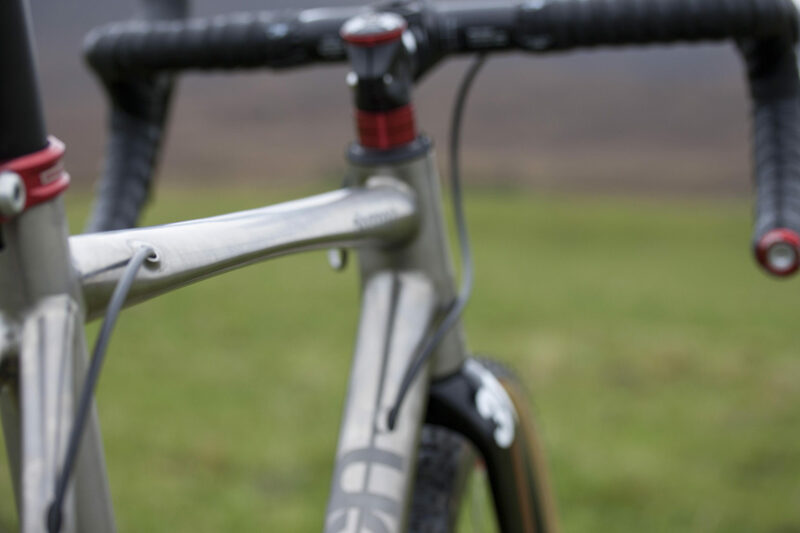 Even though we have taken years of prototyping to tweak geometry and frame features to create our perfect race frames, we understand that you may want to tweak them yourself to create your perfect race frame. We won’t be offended, that’s exactly what we are offering, your unique Albannach, made to your unique specifications. The design of our models (the CROIS, the RATHAD and the TORRAGAR) is flexible, ready for change to suit your requirements for geometry, bottom bracket and head tube standards, seat post diameter, tubing shape, wheel sizing, dropout type, brake mounting, cable routing, accessory fixing, frame finish and everything in between. To help you along the way to your dream ride, let us explain some rationale behind a few of the standard features we have adopted over the years and the variations of those features we can offer. 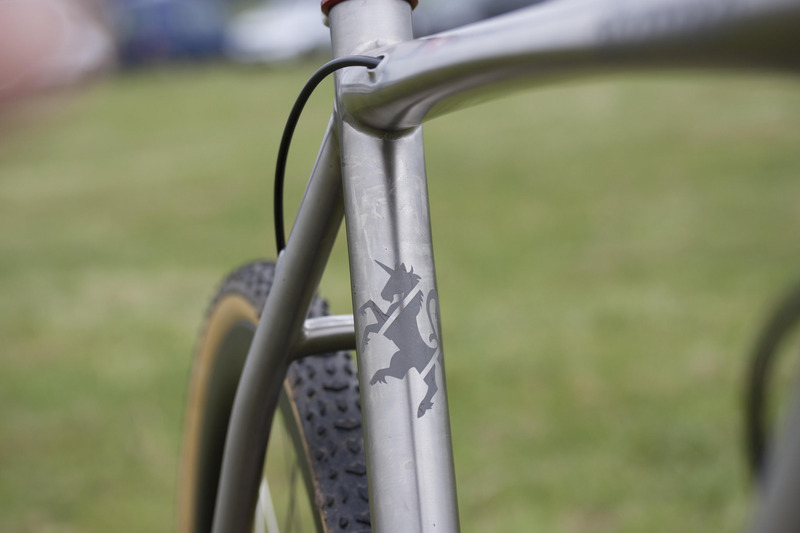 Since day one all of our frames have adopted a tapered head tube (to accommodate a 1 1/8″ to 1 1/2″ fork steerer). 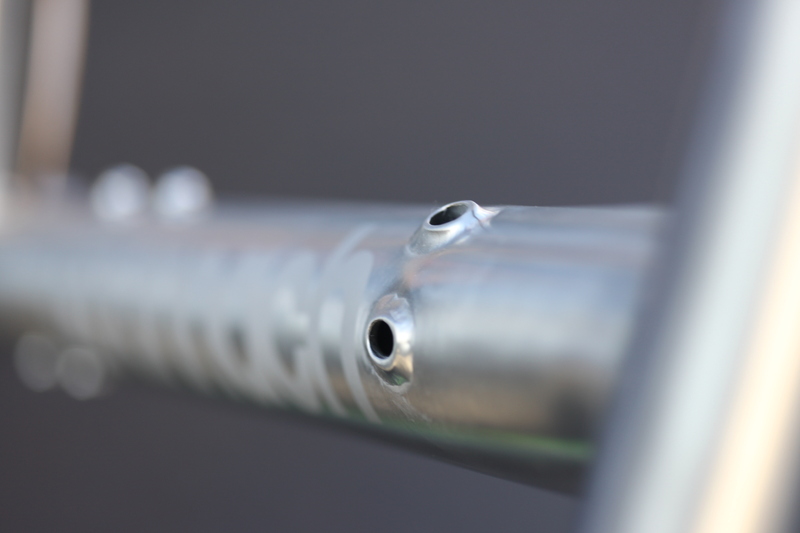 Aside from the obvious killer aesthetic, adopting a tapered head tube allows for a larger diameter down tube to be used and hence increases stiffness of the frame. Secondly, having a larger ‘footing’ at the crown race, through 1 1/2″ diameter bearings, will act to reduce shock as axial forces are spread across a larger bearing surface, perfect for the varied surfaces your Albannach will encounter. 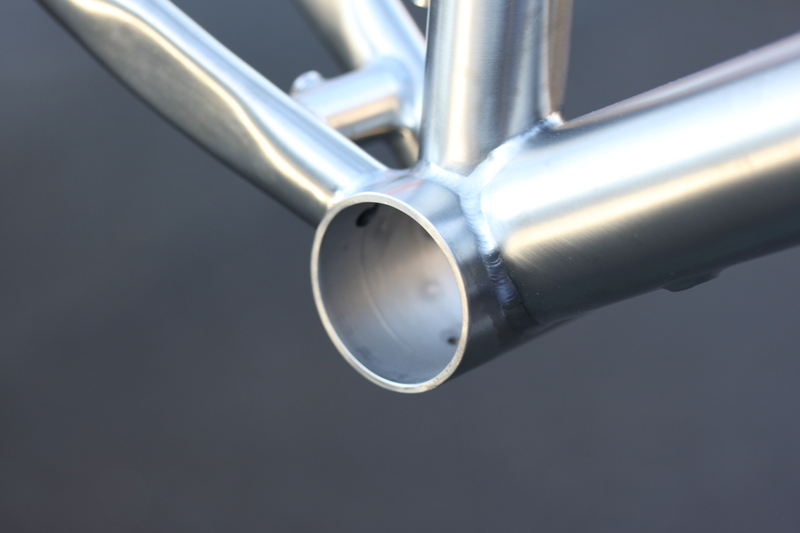 Variations available ~ Straight 1 1/8″ head tube. Adopting the 46mm internal Ø (for PressFit 30 standard) bottom bracket shell comes with many benefits. Based on the larger contact area of the bottom bracket shell, larger down tubes and seat tubes can be used, increasing stiffness around the bottom bracket axle, reducing lateral movement and hence improving power transfer. It also allows the more modern 30mm Ø axle cranksets to be installed; larger diameter axles increase the overall drivetrain stiffness improving power transfer for that all-round stronger, harder, better, faster vibe. 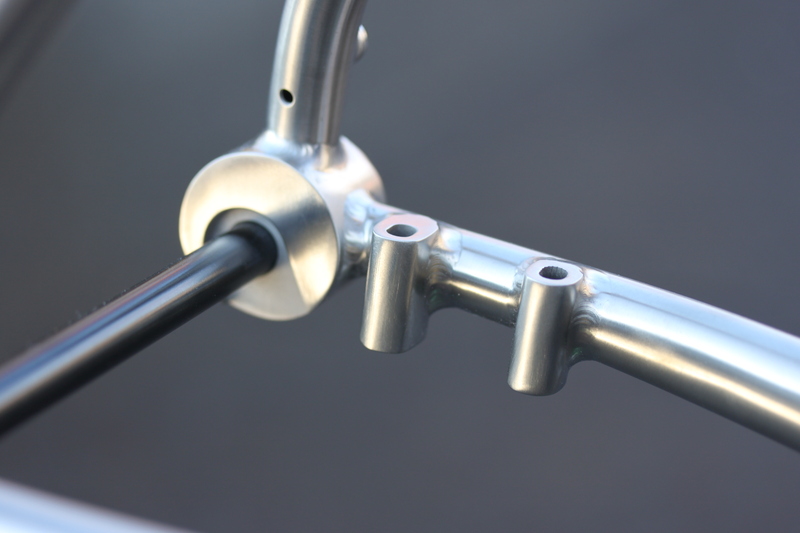 Variations available ~ BSA Threaded, BB30, BB86, BB92, T47. Fully ducted, internally routed cables, protected from the elements, promotes longer lasting, smooth derailler and brake actuation. Our approach is to route rear derailler cables via the top tube and seat stay and front derailler cables (if requested) via the down tube. Both of these routes take the path of least resistance from levers to deraillers to optimise gear change. Depending on the brake choice the cables (or hose) are routed via the top tube (for rim caliper) or via the down tube and chain stay (for disc caliper). The orientation of cable entry into the frame can be adapted to suit your braking preference (either UK style or European style). Should you wish to run a dynamo hub for powering lights and devices we can offer cable routing for your rear light via the top tube. Variations available ~ Brake route options for UK or European brake setups, derailler route options for 1x & electronic derailler setups and rear dynamo light cable routing (specifically for our TORRAGAR). Common convention is to place the disc brake mount on the upper side of the seat stay. This really makes no sense. 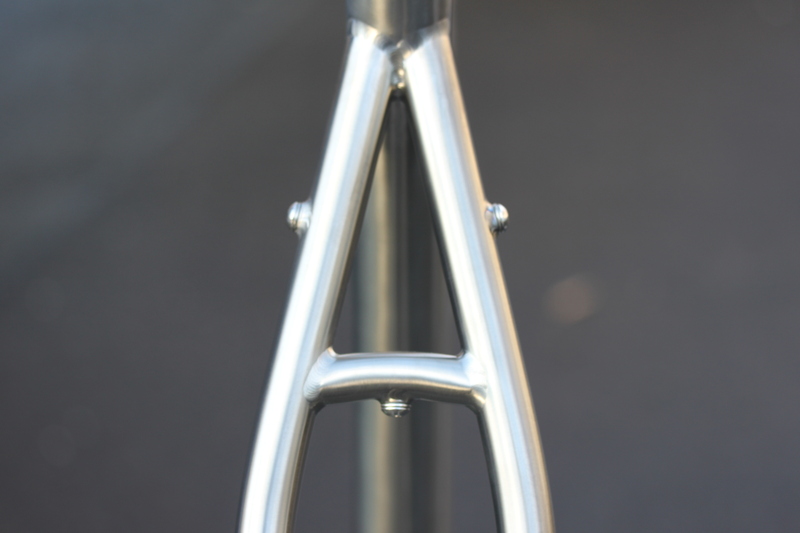 Seat stays would ideally be vertically thin, laterally wide; improving vertical compliance and lateral stiffness. Brakes mounted onto this type of seat stay will inevitably shudder with braking. Chain stays, however, would ideally be vertically tall and laterally thin; for greater vertical stiffness and maximising tyre | chainstay | crankset clearance. Chain stays are therefore the better location to place the disc brake mount to offer optimum braking performance. Our seat stays are curved to meet the rear axle joint to allow for maximum clearance above the disc caliper to aid precise setting of the calipers. Variations available ~ For disc caliper brakes – flat mount, post mount or international standard mount. For rim caliper brakes – cantilever mount or dual-pivot mount. 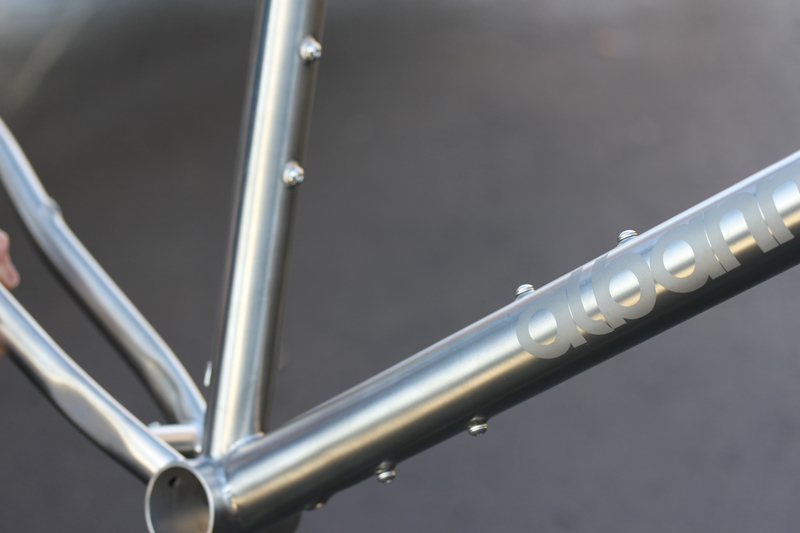 We have adopted an oversize seat post (31.6mm Ø) on our CROIS and RATHAD frames. Adopting a large diameter seat post also increases stiffness in this area and hence improves power transfer and steering of the machine through lateral hip movement, perfect for racing. 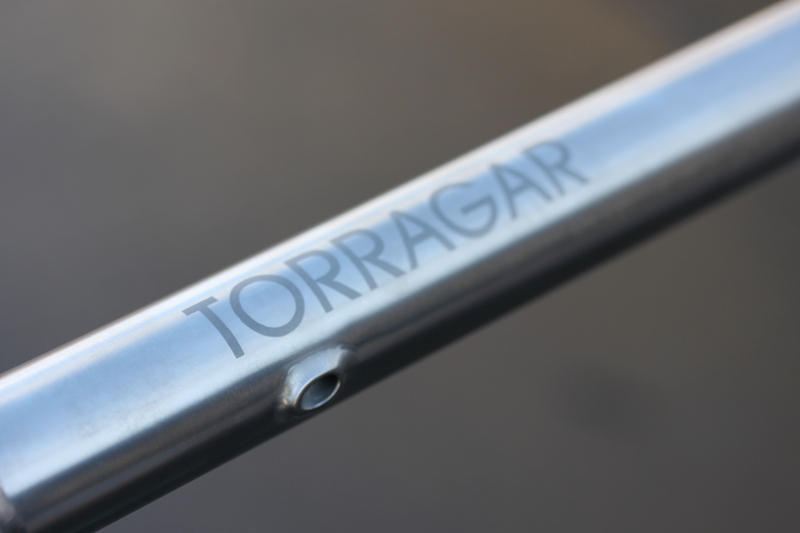 On our TORRAGAR we tend to opt for a standard seat post (27.2mm Ø) to promote all-day all-night rando comfort. 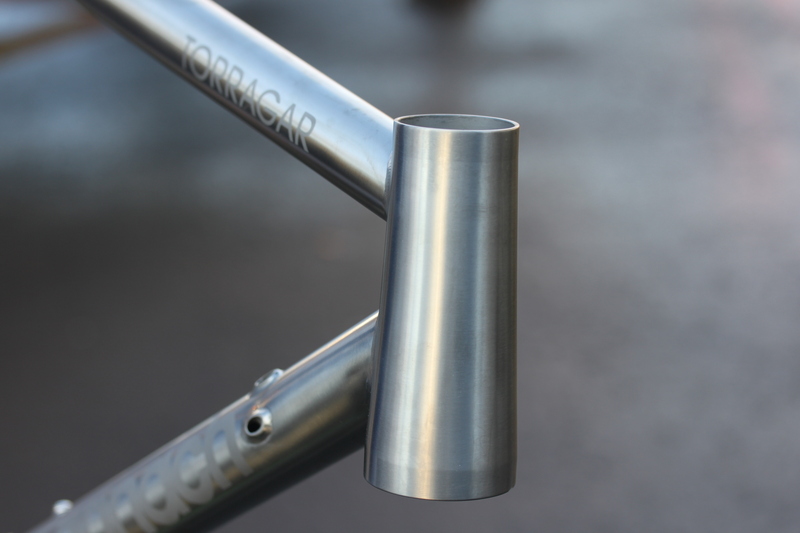 Variations available ~ 31.6mm Ø, 27.2mm Ø seat post or integrated seat post. 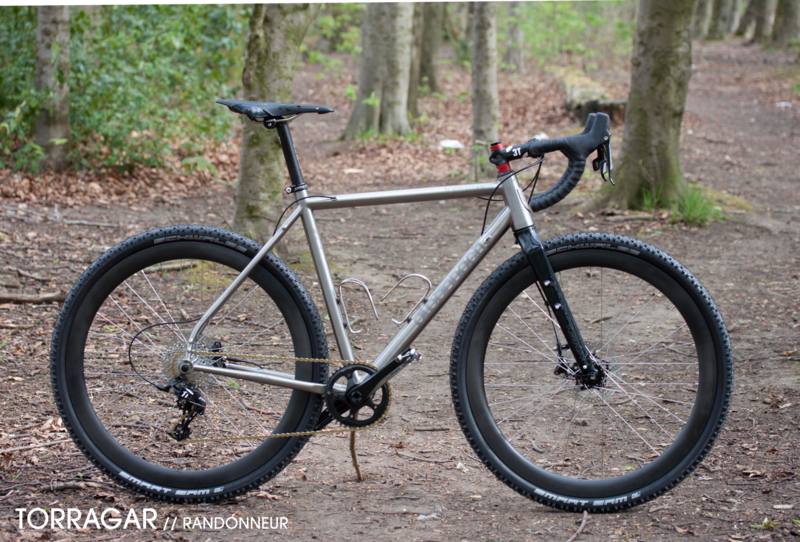 The CROIS and the TORRAGAR are designed to maximise tyre clearance between the chain stays, seat stays, seat tube and the tyres. To optimise this we have paired flared-out stays and curved stay bridges. The result is the incredible open circular space of 62mm on a 622mm Ø rim between the inside faces of chain stays and seat stays. What this means is that you can fit up to a 50mm wide tyre on a 622mm Ø rim (or 700c x 50mm) or a 54mm wide tyre on a 584mm Ø rim (27.5″ x 2.125″ / 650b x 54mm). Variations available ~ For the RATHAD we recommend a maximum tyre width of 30mm. At Albannach, everything has a purpose, nothing is superfluous. 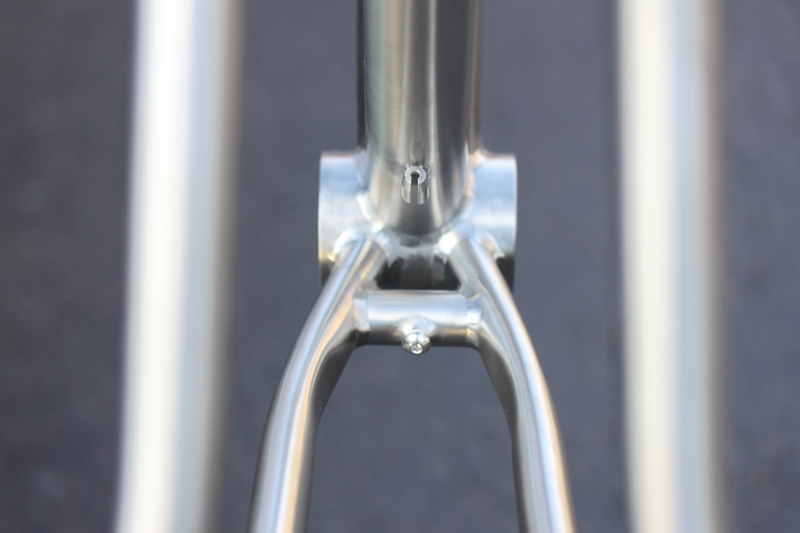 Specifically for the CROIS we have adopted a top tube that is flattened and horizontal. It is flattened on the underside to increase the surface area with an aim to improve comfort when shouldering the bike. 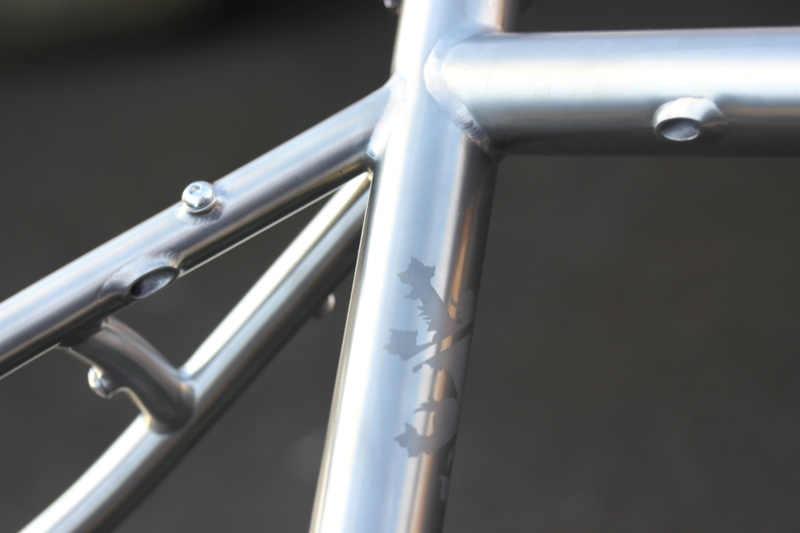 We also adopt a horizontal top tube angle, maximising the space inside the frame to improve race portage. Variations available ~ Standard circular top tube. 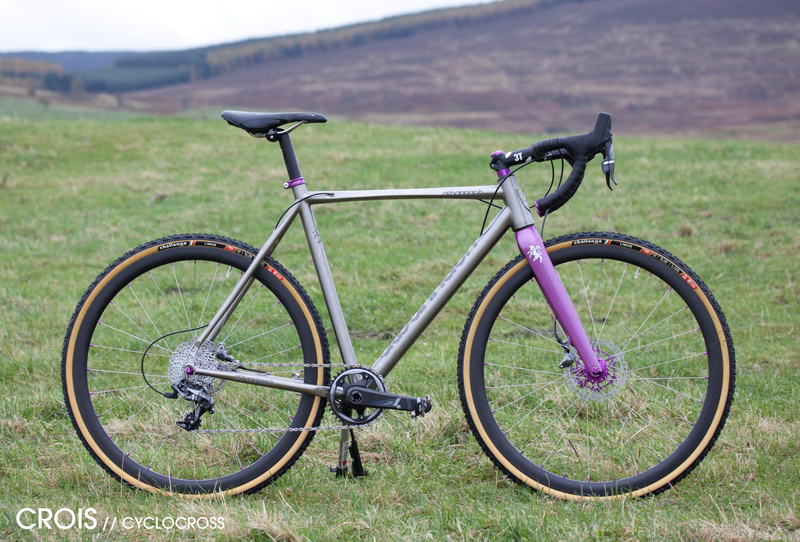 There has been a flurry of experimental standards to accommodate the arrival of disc brakes to the road and cyclocross market. While the ubiquitous 130/135mm wide quick release rear axle continues to be king we can accommodate many variations of this standard such as 142mm x 12mm through axle. We are particularly keen on this standard for our disc brake frames as it regulates disc position in relation to the frame, helping to mitigate disc rub. 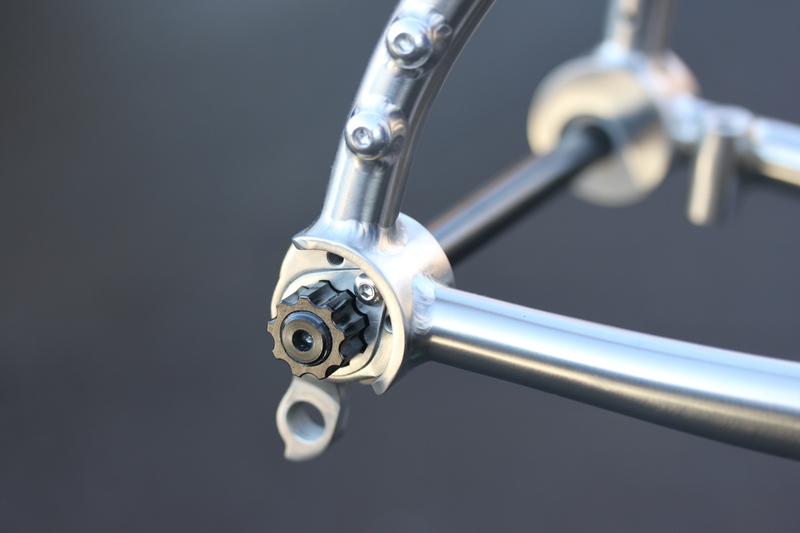 Variations available ~ Standard quick release drop outs (130 / 135mm wide), horizontal dropouts, sliding dropouts, 142mm x 12mm through axle. Whether you want the utilitarian versatility of our TORRAGAR or the streamline simplicity of our CROIS we can cater for your attachment mounting needs. 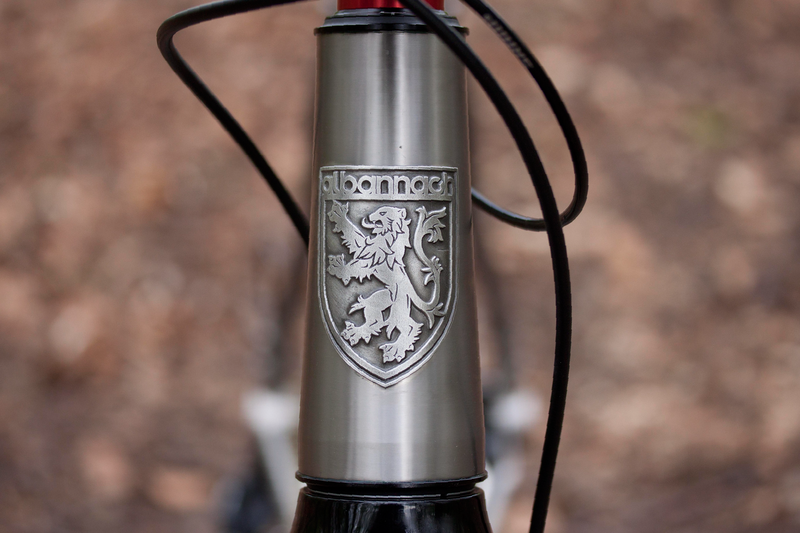 As standard we adorn the head tube with our figurehead, the Lion of Alba. All our frames come finished with subtle, yet elegant Albannach artwork bead blasted onto the brushed finish frame to create a durable overall finish. If you have something special in mind that you would like to be create, let’s make it happen. The below tables indicate the standard frame dimensions that we have developed with a focus towards racing geometry. Simply put, our frames tend have more reach and less stack. This is by no means the only geometry we will offer but feel free to use it as a guide. Your Albannach, made exactly as you want it, for £1,500. *Orders made from within the UK – Shipping is free-of-charge. Orders made from outwith the UK – We are based in the Scotland and are happy to ship internationally from the FRAMEWORKS however please contact us first to discuss shipping pricing as this will vary nation to nation. Please also note that orders made from outwith the UK will be liable for import duties, sales tax and some handling fees upon delivery of your order to your chosen international destination. 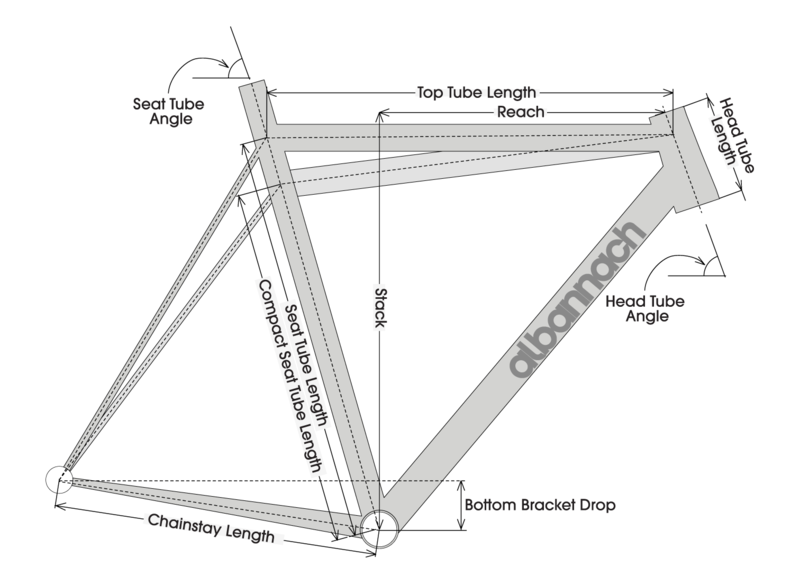 As part of the Albannach commitment to quality, we provide a 5 year warranty to the original owner of the frame purchased. This entitles the original owner during the period of the original ownership to a repair or replacement frame as required should it fail due to manufacturing defects in materials or workmanship. A receipt or proof of purchase is required for any claim. This does not cover any defects as a result of crashes, collisions, improper use, neglect, deterioration of surface finish, structural modification or improper installation of components and will be at the discretion of Rothair Limited (SC562815). Over the years we’ve helped make some stunning Albannachs for some awesome riders and we’ve even had the privilege to receive some fantastic feedback. Here’s a slice of the good vibes incoming from our patrons.